The film blew your mind. The musical conquered Broadway. And now London will learn how to rock. Based on the hit movie, School of Rock follows dropout Dewey Finn, a failed rock star forced to earn some extra cash by posing as a teacher at a prestigious prep school. But Dewey isn’t going to teach them algebra or arithmetic, oh no. These kids are going to learn what it takes to become the most awesome rock n’ roll band of all time! 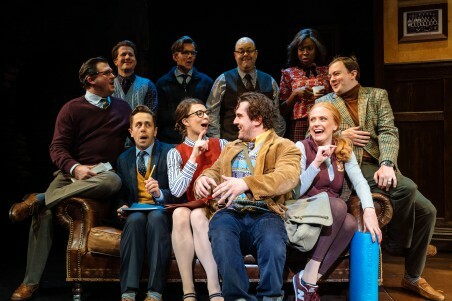 But can his new group win the Battle of the Bands without being schooled by their parents and headmistress, or will Dewey have to face the music? 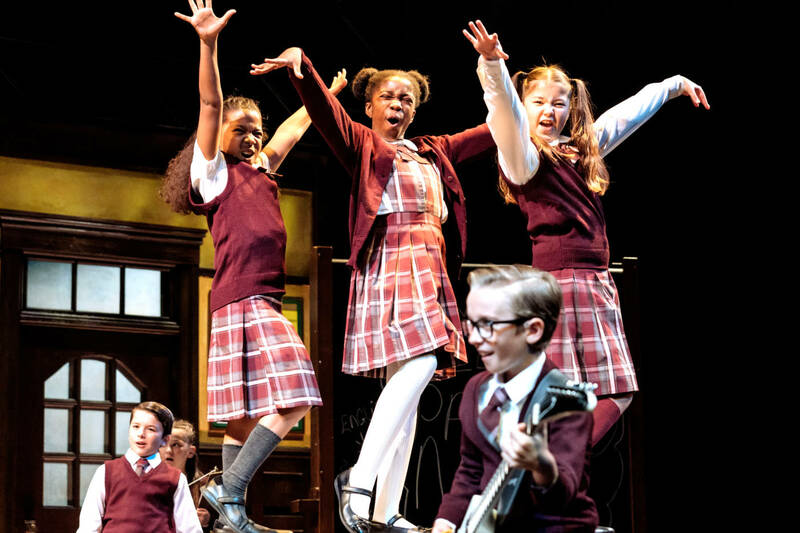 With a new score from Andrew Lloyd Webber, lyrics by Glenn Slater, book by Julian Fellowes and an incredible cast of kids shredding guitars, pounding drums and rocking out live, School of Rock is a pop-tastic treat for all ages. 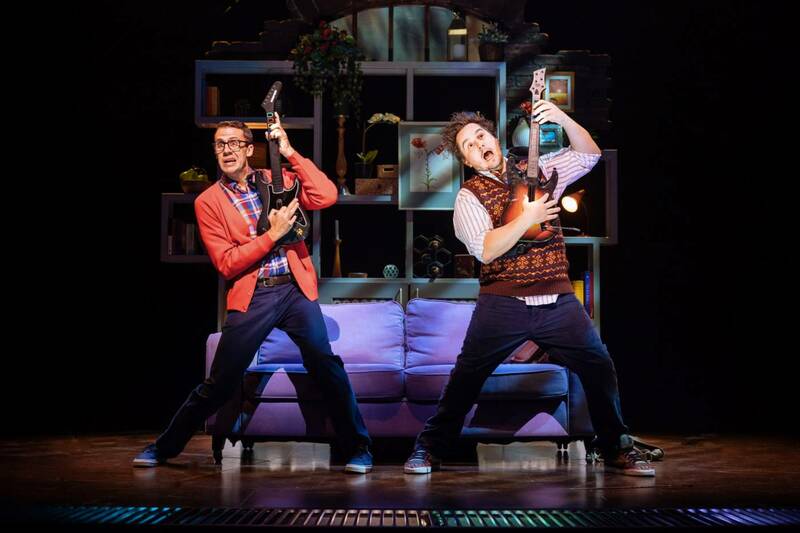 You’re invited to tune your air guitar, raise your rock salute and discover the show that hits all the right notes. 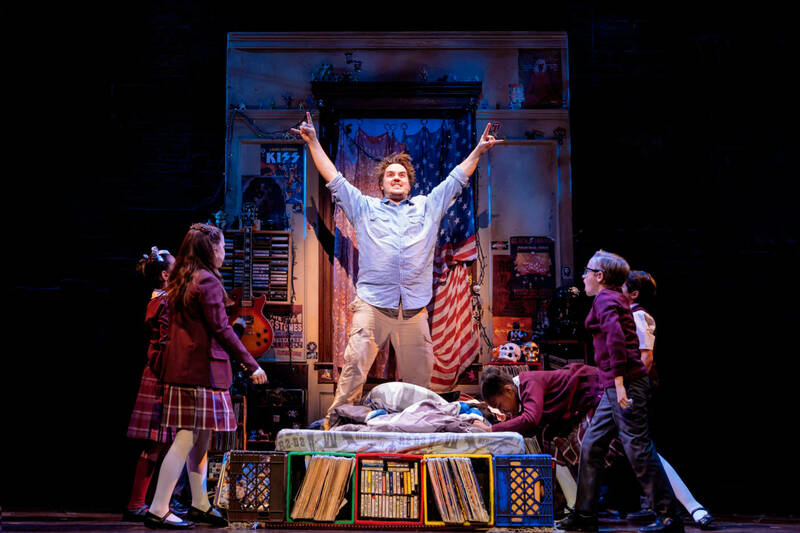 Leading the way as wannabe rock star Dewey Finn is Craig Gallivan, who will be joined by adult leads Laura Tebbutt as Rosalie Mullins, Alan Pearson as Ned Schneebly, Michelle Francis will play Patty Di Marco. CUSTOMER SERVICES If you have made a booking and need any further assistance please email [email protected] or call 020 7087 7950. Please note telephone lines are open Monday to Friday from 9am-5:30pm and on Saturdays from 10am-4pm. Please note that School of Rock contains occasional strong language and may not be suitable for very young children. All persons entering the theatre, regardless of age, must have a ticket. Babes-in-arms are not admitted to the auditorium. All children must be old enough to occupy their own seats. WARNING Please be advised that smoke effects and strobe lights are used during this performance. Please note the producers cannot guarantee the appearance of any particular artist. The schedule is subject to change and may be affected by contracts, holiday, illness or events beyond the producers’ control. Why not start planning your day to make sure your time with us at the Gillian Lynne Theatre is as smooth as possible?